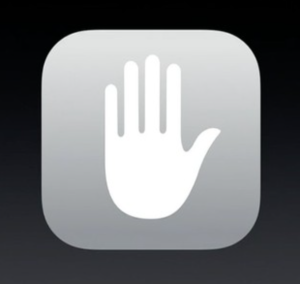 Privacy controls start and stop with Location Services. Â Apps that use Location Services on your iPhone gather and use your information to project data points based on your location. Luckily, data collected by Apple is completely anonymous and does not uniquely identify you or your location in a way thatÂ personally identifies you.Â In addition, you will always stayÂ informed of when an app is, or has been using your location because there will be an icon of an arrow to the far right of the App title within Location Services. The extent to which the app has used your information is further broken down and identified with color and clear outlined arrows. Â Solid purple indicatesÂ that an app has recently used your location. A dark gray filled arrow icon means that an app has used your location within the last 24 hours, and a purple outlined arrow indicates that a geofence is being used for that app. Â A geofence is a perimeter, and it is helpful when you would like to be notified when you arrive and leave specific locations. 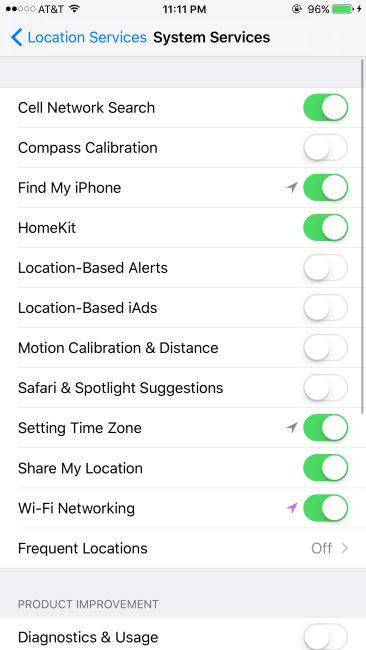 While still in the Settings App, you can turn location services on or off under Settingsâ€“> Privacyâ€“> Location Services. 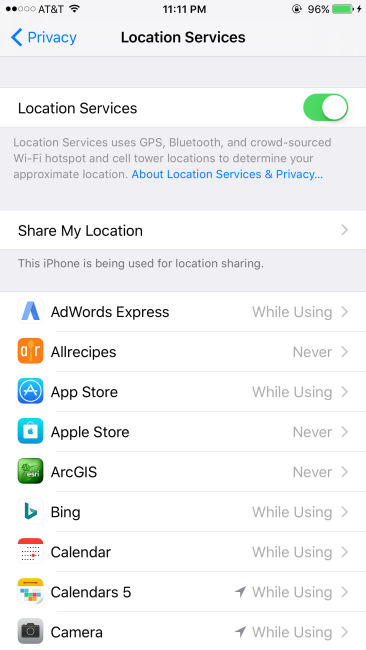 Â Here, all the apps and services that you hadÂ previously granted permission to use your location are displayed. 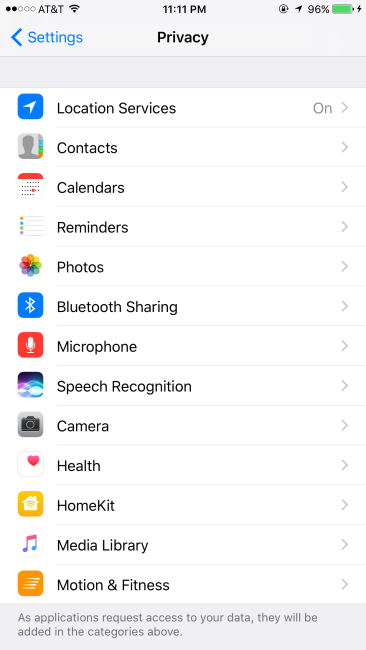 Â One item to remember-â€“if you ever choose to turn off location services for a particular app that you had once allowed to use your location, you will once again have to grant this appÂ permission to use your location again. Â While this may seem like a pain to have to go through, Apple is still putting your privacy first, and I appreciate that. Lastly, you can also control when System Services use your location. This happens when services like location-based ads, motion calibration and automatic time zone adjustments are made in the background. Â Full the full list of these services and to view the last time they were activated, scroll to the bottom of the list of Location ServicesÂ Apps in Settings, and then select System Services.